Dec. 10, 2012, 10 a.m. The tech news site, which started out in Philadelphia and spread to Baltimore, is heading to bigger markets — Boston and D.C. are coming, too. By Adrienne LaFrance @adriennelaf Dec. 10, 2012, 10 a.m.
NEW YORK — News organizations have long seen value in their ability to connect people: linking citizens to public officials, advertisers to readers, and so on. But in today’s nichified media world, media companies are finding it worthwhile to forge connections that are segmented in the same ways content now is. That can be as simple as having your political columnist host a political trivia night for readers — or it can be at the heart of your business model. For Technically Media, it’s the latter. The tech news startup gets only about a tenth of its revenue from traditional advertising; its money comes from being useful to the entrepreneurial communities in the cities it covers. Technically Media hopes providing a multi-city tech connection is what will set it apart — especially as it’s trying to make a name for itself in cities where the local-tech-coverage scene is significantly more crowded than Philly’s and Baltimore’s were. Kirk and his team bandied about the idea of focusing their expansion in underserved cities like Detroit and New Orleans. Places like New York have no shortage of tech writers. In Boston, the field already includes BostInno, Xconomy, The Hive, and more. Still, Kirk says he doesn’t see Brooklyn as a next-level proving ground — the expansion to Baltimore was the true test, he insists — but rather a natural fit for a site that has heretofore focused on post-industrial cities with nascent tech communities. In other words, Brooklyn makes sense because it’s kind of the Philly of New York (with apologies to people from all of those cities, who surely cringe at the comparison). As cities along the East Coast grapple with the kinds of issues Technically Media covers, why not bring together leaders of those individual communities? What Kirk calls “the information exchange” across communities will become potentially more valuable than the city-specific “tech week” events that have been at the center of Technically Media’s business model so far. “How many similar conversations are happening?” Kirk said. “For example, in partnership with a Baltimore organization, we brought 20 to 30 technoogists from Baltimore up to Philly to tour [and discuss] digital divide issues. We brought the CIO of the city from Baltimore to meet with the CTO in Philadelphia. We organize the entire day, we toured the Baltimore folks through Philadelphia, and then we wrote about it in both markets. 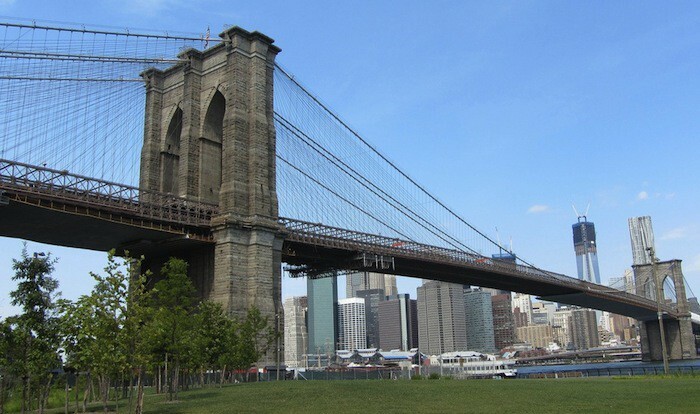 Photo of the Brooklyn Bridge by Sue Waters used under a Creative Commons license. POSTED Dec. 10, 2012, 10 a.m.
LaFrance, Adrienne. "No sleep till: Technically Media’s next expansion stop is Brooklyn." Nieman Journalism Lab. Nieman Foundation for Journalism at Harvard, 10 Dec. 2012. Web. 20 Apr. 2019. LaFrance, Adrienne. "No sleep till: Technically Media’s next expansion stop is Brooklyn." Nieman Journalism Lab. Last modified December 10, 2012. Accessed April 20, 2019. https://www.niemanlab.org/2012/12/no-sleep-till-technically-medias-next-expansion-stop-is-brooklyn/.